Dur­ing the day are too many tourists there (for my taste) to make good pic­tures. Unfor­tu­nate­ly I had on this trip no time to wait of the sun­set and the absence of peo­ple. Here, there­fore, only a few impres­sions of the Cas­tle and the sur­round­ing coun­try­side, because per­ma­nent­ly tourists ran into my pic­ture or left col­or­ful dots in the Land­scape. 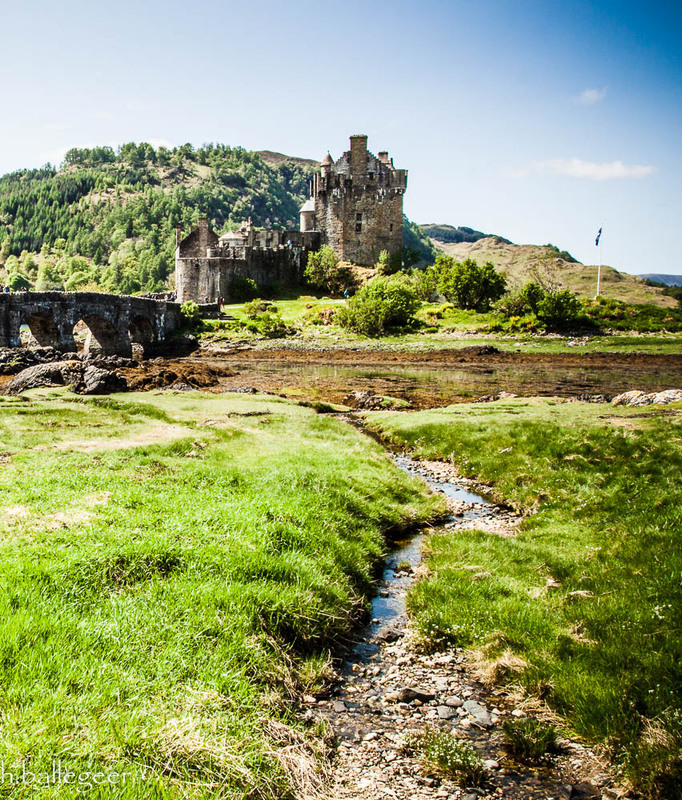 Eilean Donan is recog­nised as one of the most icon­ic images of Scot­land all over the world. 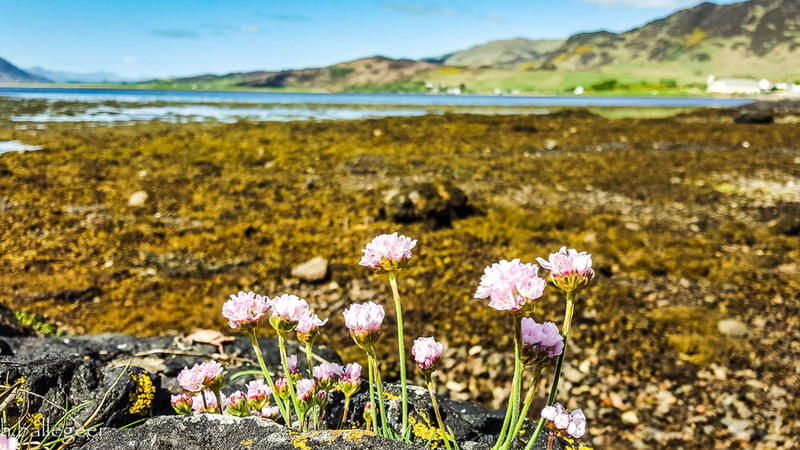 Sit­u­at­ed on an island at the point where three great sea lochs meet, and sur­round­ed by some majes­tic scenery, it is lit­tle won­der that the cas­tle is now one of the most vis­it­ed and impor­tant attrac­tions in the Scot­tish High­lands. 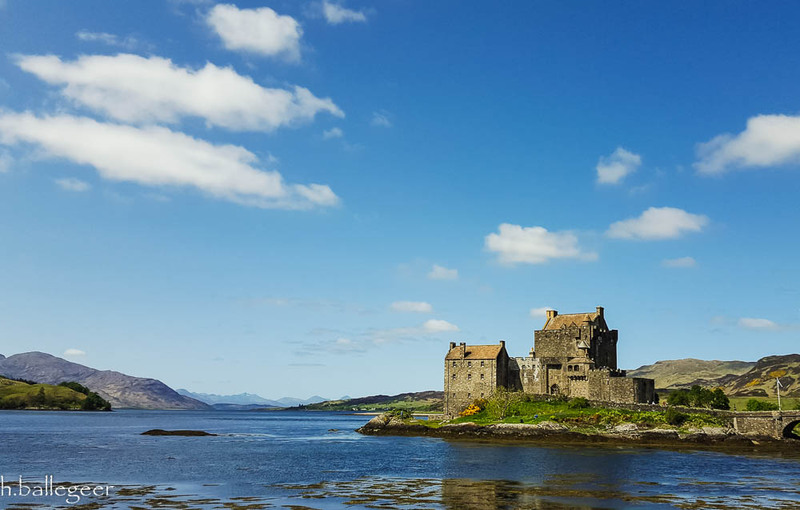 The name Eilean Donan ‘Island of Donan’ estab­lished prob­a­bly through use as a chapel site by Saint Don­nan of Eigg. 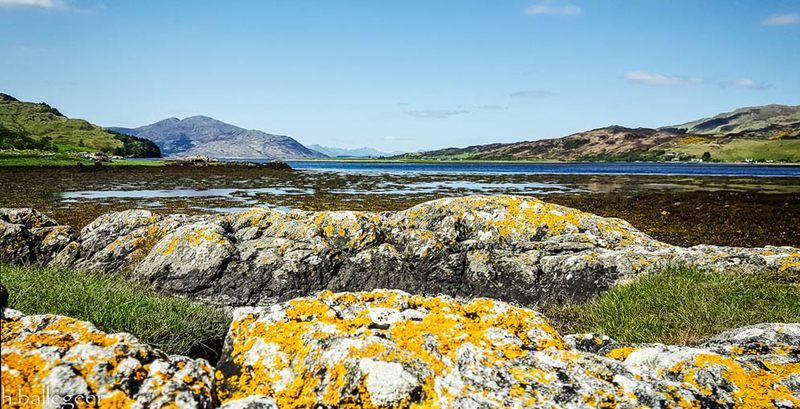 First cas­tle built on the island pos­si­bly by either King Alexan­der II or III to help strength­en defences against the Danes or by Far­quar II, Earl of Ross. Gar­risoned by Gov­ern­ment troops but retak­en by the Jaco­bites before the bat­tle of Sher­iff­muir. Occu­pied by Span­ish sol­diers, part of a force of 300 who land­ed on the west coast to sup­port the Jaco­bite upris­ing. Gov­ern­ment frigates respond­ed by bom­bard­ing the Cas­tle and reduc­ing it ruins. After­wards, the Cap­tain Herd­man of the Enter­prise went ashore to destroy the pow­der mag­a­zine – it explod­ed and destroyed much of the remain­ing Cas­tle. In 1984 it fea­tured in the movie High­lander with Christo­pher Lam­bert and Sean Con­nery. Upstairs there are 3 b/w pho­tographs tak­en of the set dur­ing film­ing. Oth­er movies have fea­tured the cas­tle (see below) since it is so pic­turesque. Dur­ing the Jaco­bite rebel­lion, 46 Span­ish sol­diers were sta­tioned here when the cas­tle was attacked by sev­er­al gov­ern­ment boats, lead­ing ulti­mate­ly to their death and the cas­tles’ destruc­tion. 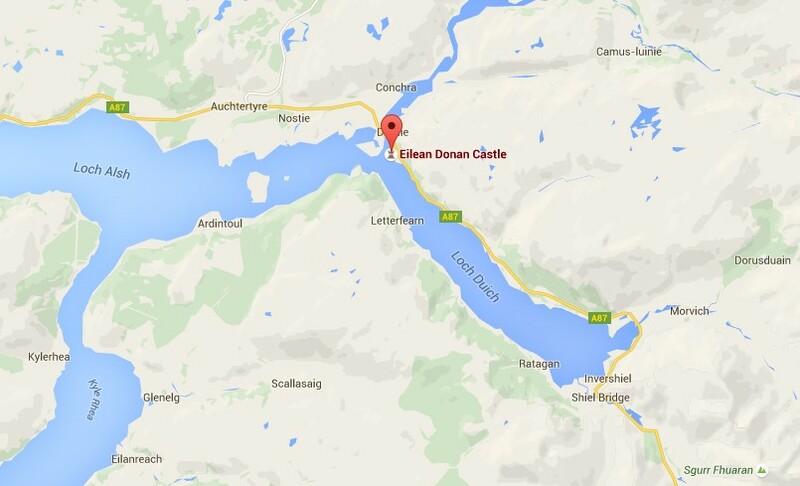 One of the more well known ghosts of Eilean Donan is believed to be that of one of the sol­diers that died that day. His eerie appari­tion has been seen often in the gift shop, clutch­ing his head under­neath his arm. The appari­tion of Lady Mary has been wit­nessed many times in one of the bed­rooms in the cas­tle. On the day are too many tourists there (for my taste) to make good pic­tures. Unfor­tu­nate­ly I had on this trip no time to wait of the sun­set and the absence of peo­ple. Here, there­fore, only a few impres­sions of the Cas­tle and the sur­round­ing coun­try­side, because per­ma­nent­ly tourists ran into my pic­ture or left col­or­ful dots in the Land­scape. 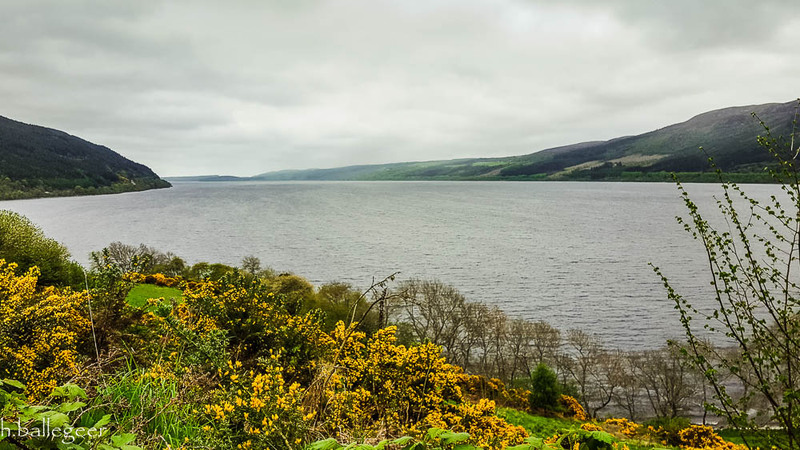 Loch Ness is a large, deep, fresh­wa­ter loch in the Scot­tish High­lands extend­ing for approx­i­mate­ly 23 miles (37 km) south­west of Inver­ness. Its sur­face is 52 ft (16 m) above sea lev­el. 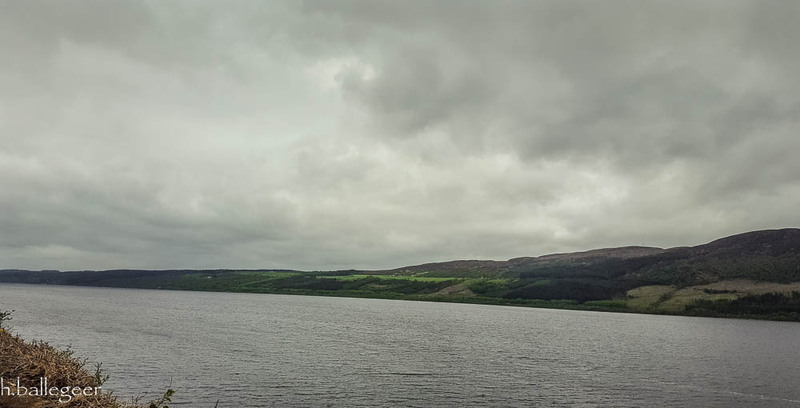 Loch Ness is best known for alleged sight­ings of the cryp­to­zo­o­log­i­cal Loch Ness Mon­ster, also known affec­tion­ate­ly as “Nessie”. 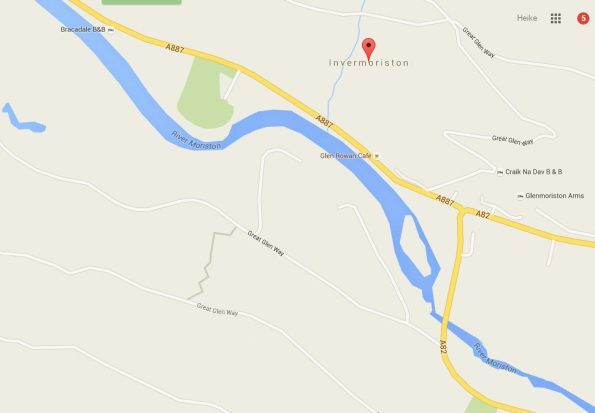 It is con­nect­ed at the south­ern end by the Riv­er Oich and a sec­tion of the Cale­don­ian Canal to Loch Oich. 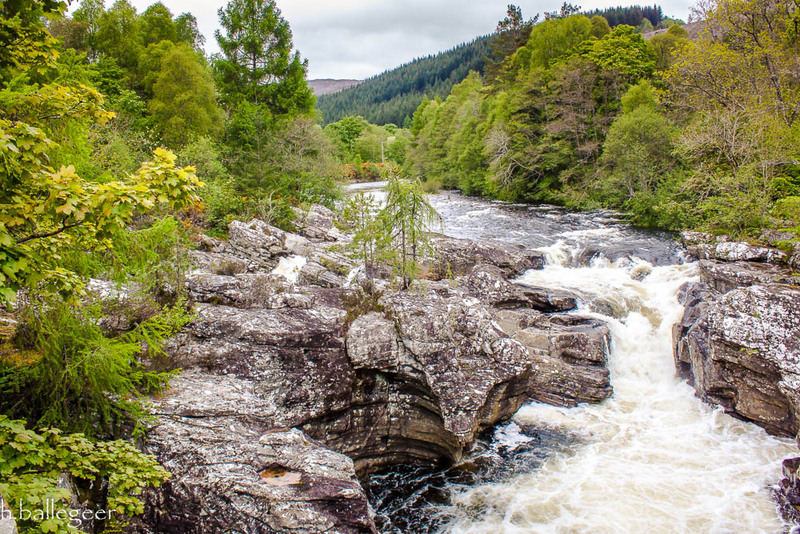 At the north­ern end there is the BonaNar­rows which opens out into Loch Dochfour, which feeds the Riv­er Ness and a fur­ther sec­tion of canal to Inver­ness. 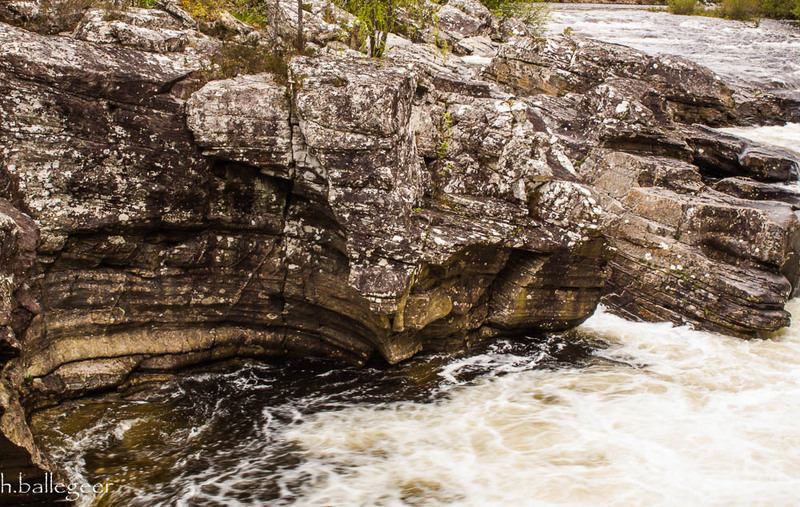 It is one of a series of inter­con­nect­ed, murky bod­ies of water in Scot­land; its water vis­i­bil­i­ty is excep­tion­al­ly low due to a high peat con­tent in the sur­round­ing soil. 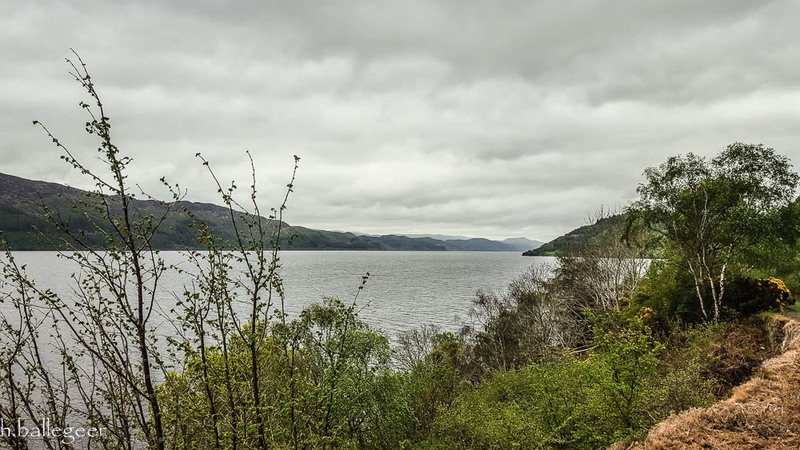 Loch Ness is the sec­ond largest Scot­tish loch by sur­face area at 22 sq mi (56 km2) after Loch Lomond, but due to its great depth, it is the largest by vol­ume in the British Isles. 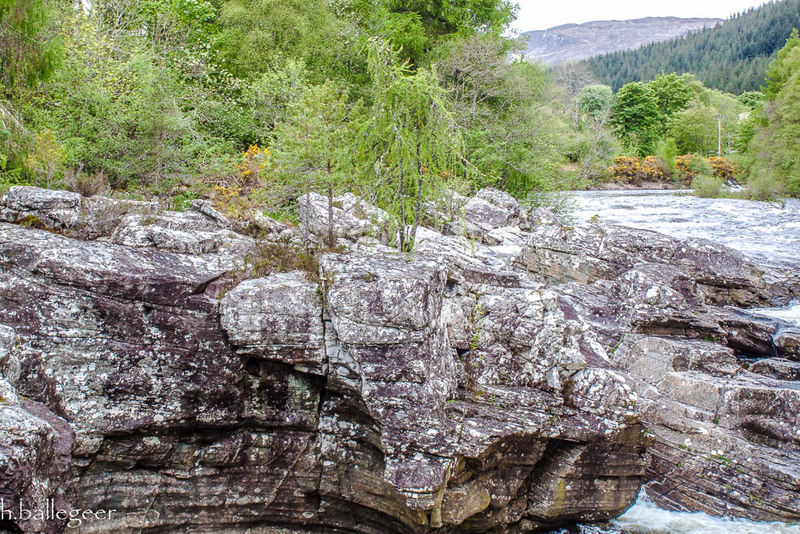 Urquhart Cas­tle is the most famous site in the area. The cas­tle is in ruins but an impres­sive ruin with walls, four tur­rets and the keep. The beau­ty of the place cou­pled with its his­to­ry makes it so attrac­tive. 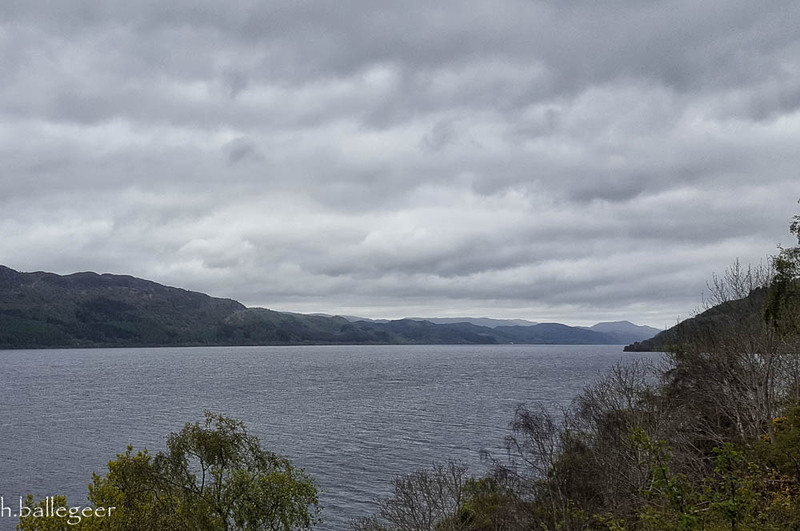 The posi­tion of the cas­tle at Strone Point is dra­mat­ic and com­mands a wide view of Loch Ness. 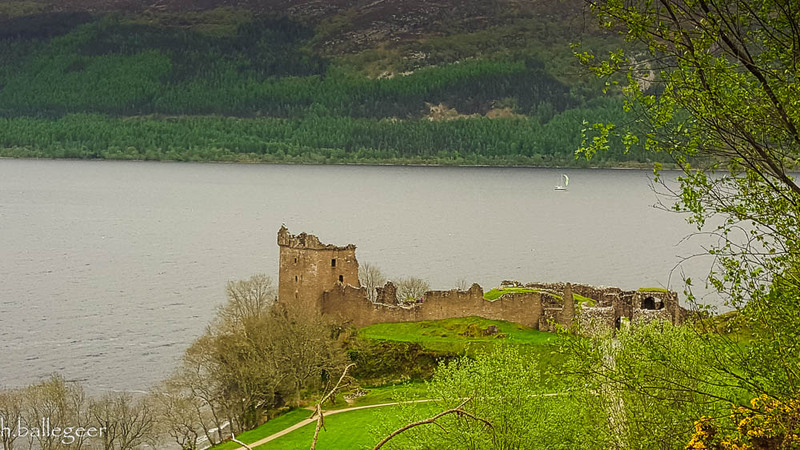 There had been a fortress at that point from ancient times and the cas­tle was asso­ci­at­ed with big names of Scot­tish his­to­ry such as Saint Colum­ba (6th cen­tu­ry) and Robert the Bruce (12–13th cen­tu­ry). The end came with a bang in the final years of the 17th cen­tu­ry when it was packed with explo­sives and blown up to ren­der it use­less to the Jaco­bites. 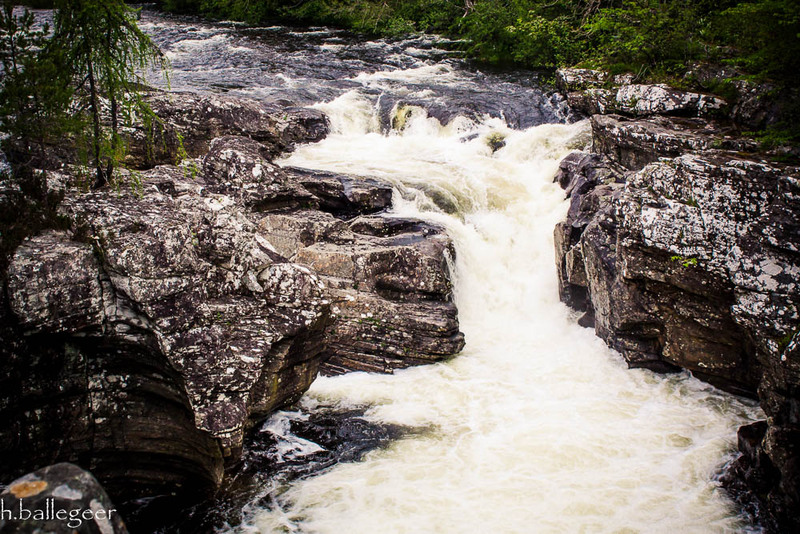 It was quit a View…one of these mag­ic moments i love scot­land for..
Inbhir Mhoireas­t­ain (in Gael­ic) is a small vil­lage 7 miles north of Fort Augus­tus, High­land, Scot­land. 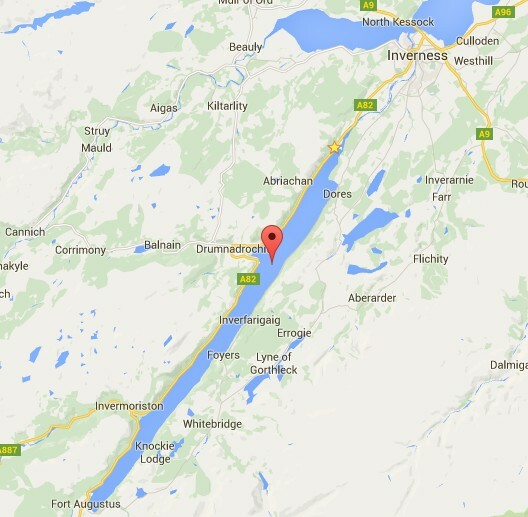 The vil­lage is on theA82 road, at a junc­tion with the A887. 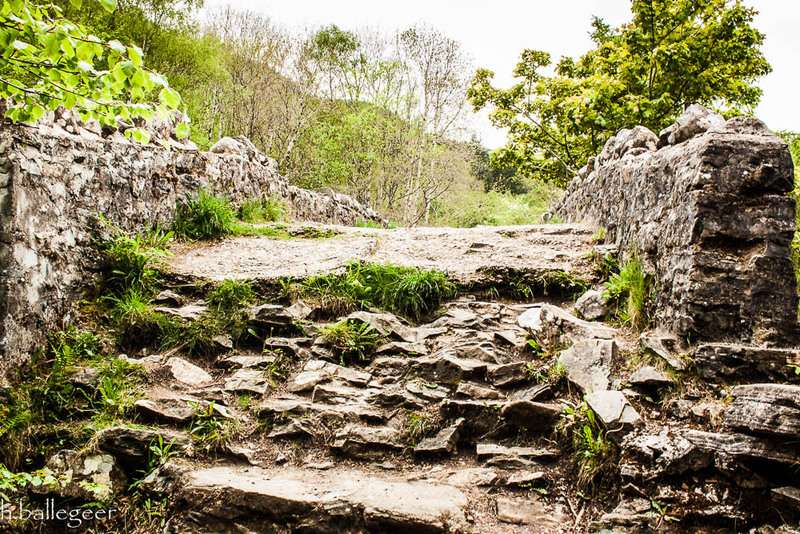 The village’s most vis­it­ed attrac­tion is the Thomas Telford bridge, built in 1813, which cross­es the spec­tac­u­lar Riv­er Moris­ton falls. 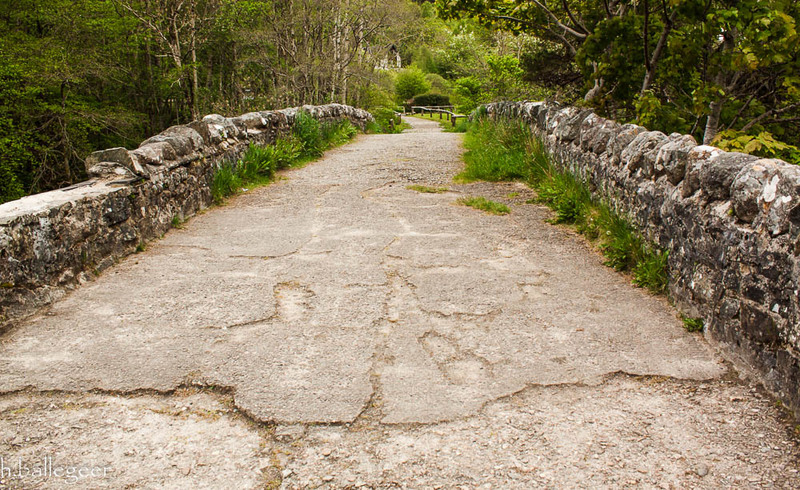 This bridge used to form part of the main road between Drum­nadro­chit and Fort Augus­tus but was replaced in the 1930s with the new bridge used today.The Riv­er Moriston’s name means ‘riv­er of water­falls. thanks for your vis­it :)…glad you enjoy them as i do..